Walter Stollen, Army Corps of Engineers (Circa 1940). The founder of Stollen Machine & Tool Company, Walter Stollen returned home from service in the United States Army Corps of Engineers in 1944 and started working for his father, Rudolph Stollen, at Cully Machine. He worked there for several years learning the trade and saving money, and in June of 1954 Walter was able to open his own business, Stollen Machine & Tool Company. Walter became heavily involved in the manufacturing community that was quickly establishing itself in area and was a dedicated member of the Rotary Club as well as the Kenilworth Manufacturers Association. After years of producing high quality machined parts Stollen Machine & Tool Company continued to grow, and in September of 1972 Walter's son Bob joined his father in the family business. As time passed Bob grew into his fathers shoes and began to advance the technology necessary to compete as manufacturing advanced into the computer age. Now, forty years later, Stollen Machine & Tool Company is a fully equipped CNC job shop that continues to evolve along with the manufacturing industry. In April of 2012 Bob's son Doug also joined the company, following in the footsteps of his great-grandfather, grandfather and father. 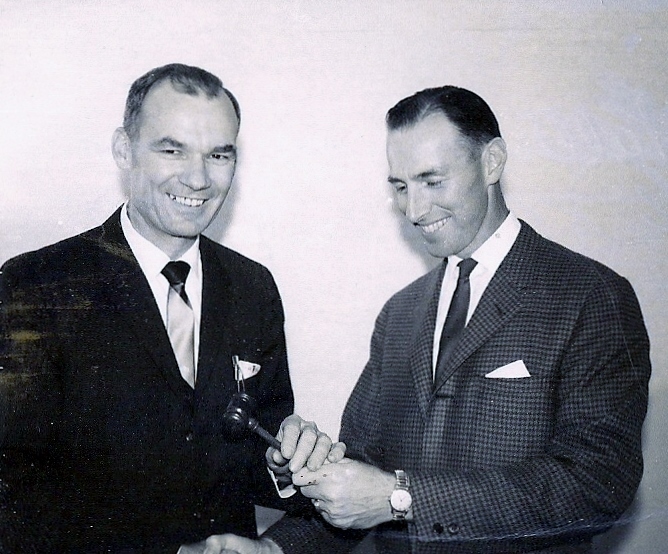 Walter Stollen on the left, President of the Kenilworth Manufacturers Association (1965 - 1966). The Stollen Machine & Tool Company family circa 1990. Walter Stollen and his son Bob Stollen to the upper right.